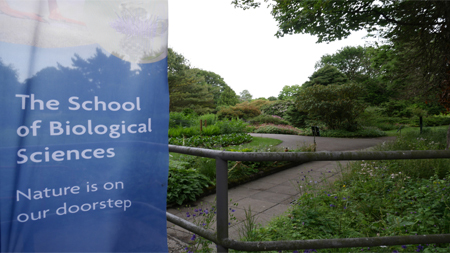 The Scottish Ecology, Environment and Conservation Conference (SEECC) invites PhD, Masters and Undergraduate students to present their research via either a 15 minute talk or an hour long poster presentation. PhD student, Sarah Fenn, recieved the 'Best Postgraduate Research Talk' accolade. Her talk examined the effect of supplementary feeding on the conservation of red-billed choughs on islay. Securing a double win for Aberdeen, Cameron Singh-Johnstone won the 'Best Undergraduate Poster' category for his presentation which looked at how great black-backed gulls (the large cousin to our resident herring gulls) predate puffins on Craigleith Island in the Firth of Forth.